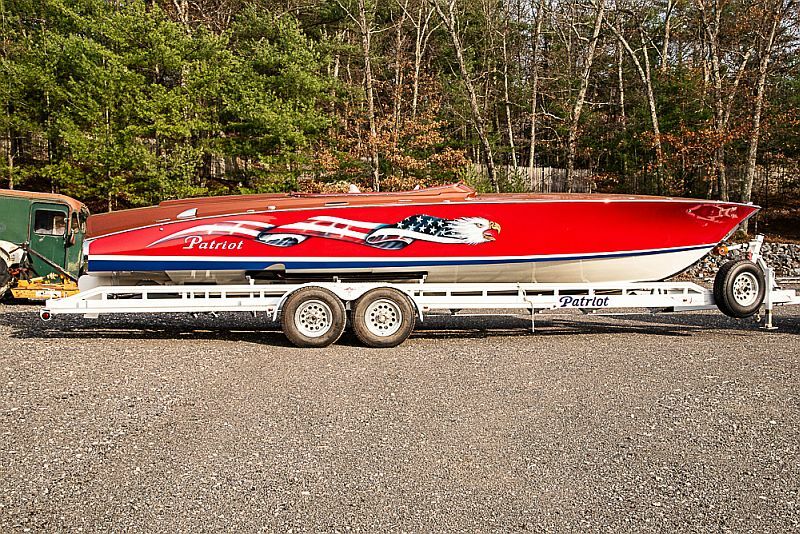 The Patriot is a thirty foot, custom-built offshore sports runabout. 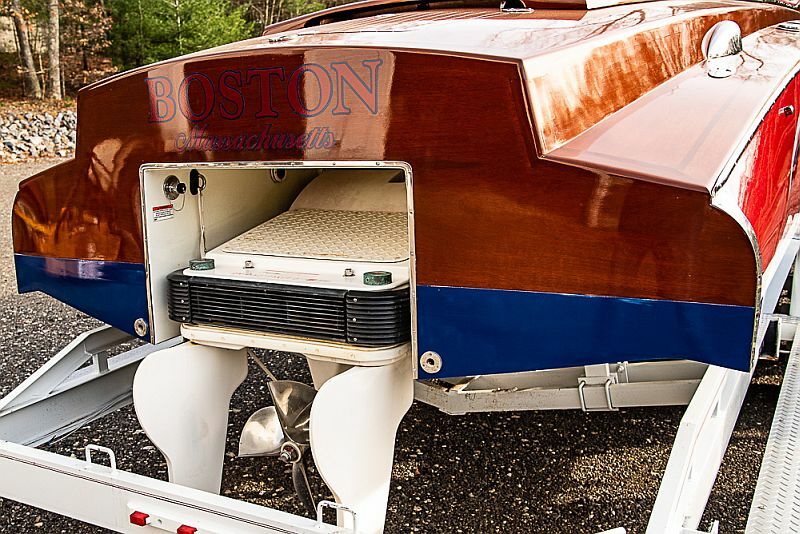 The hull is a 3 aerated step design, cold molded West System, constructed using one layer of 1/4″ Ocumez marine grade plywood with 1/2″ Honduras mahogany over quarter planking on the exterior. 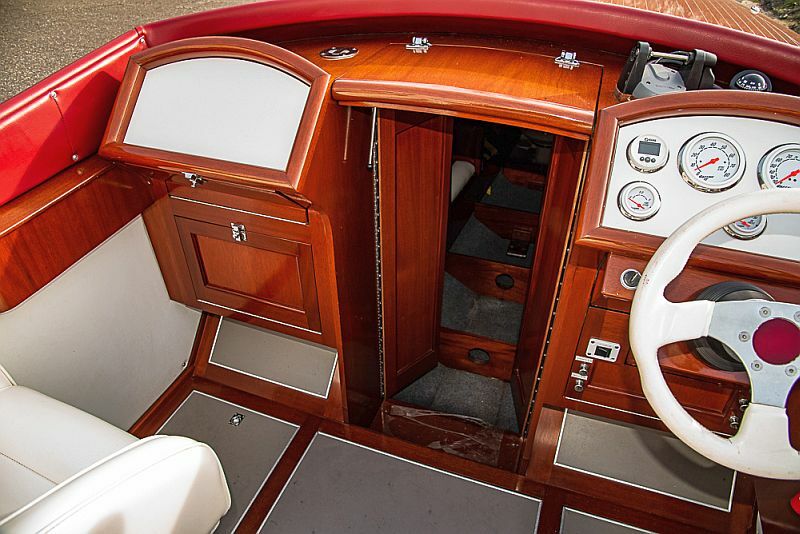 The framing is mahogany construction, The decks are stained mahogany, applied with West System. (no screws). 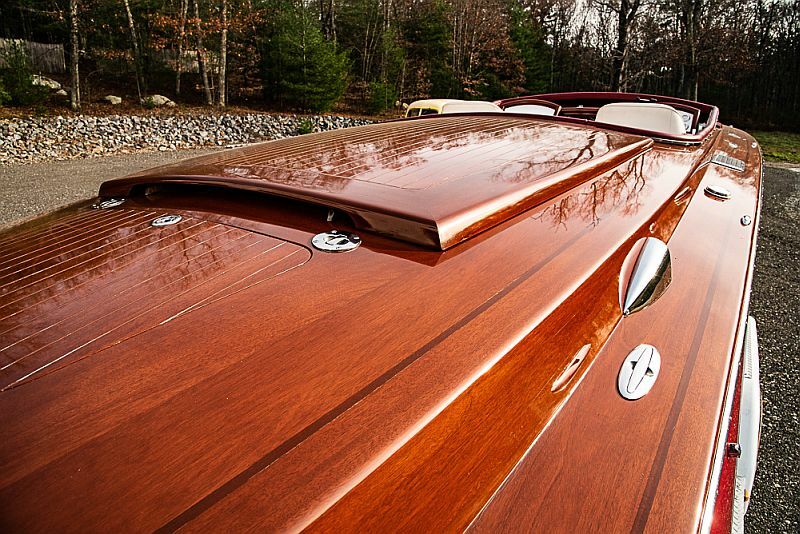 The finish is stained light mahogany. 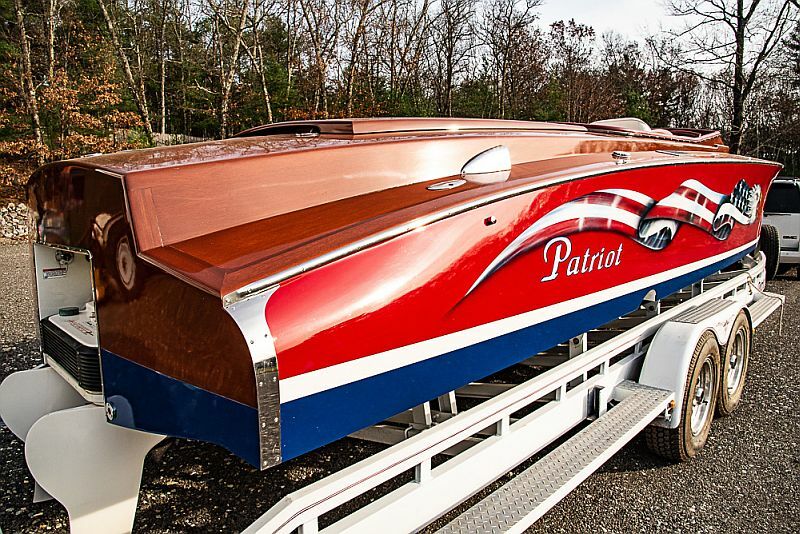 Patriot is fitted with a GM 540 cubic inch, 620 hp engine, which has a variable pitch Pulse Drive out unit with a Surface Prop. 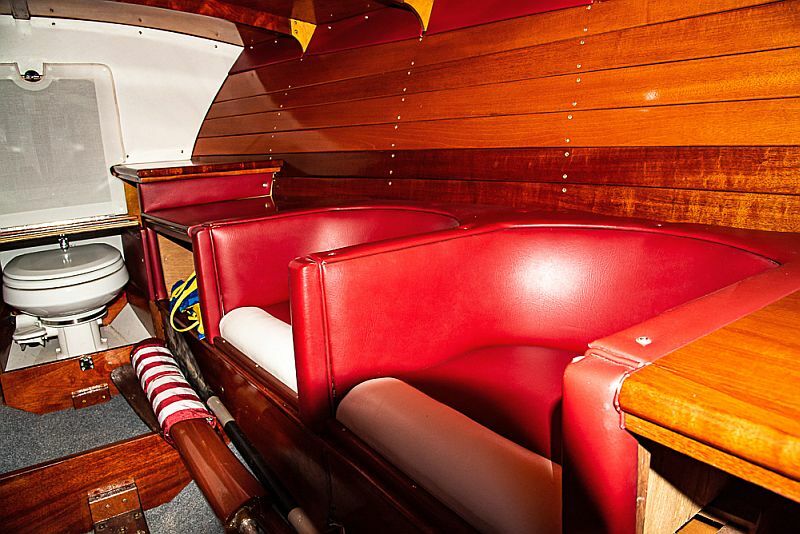 The interior features vinyl roll and pleated seats for five. 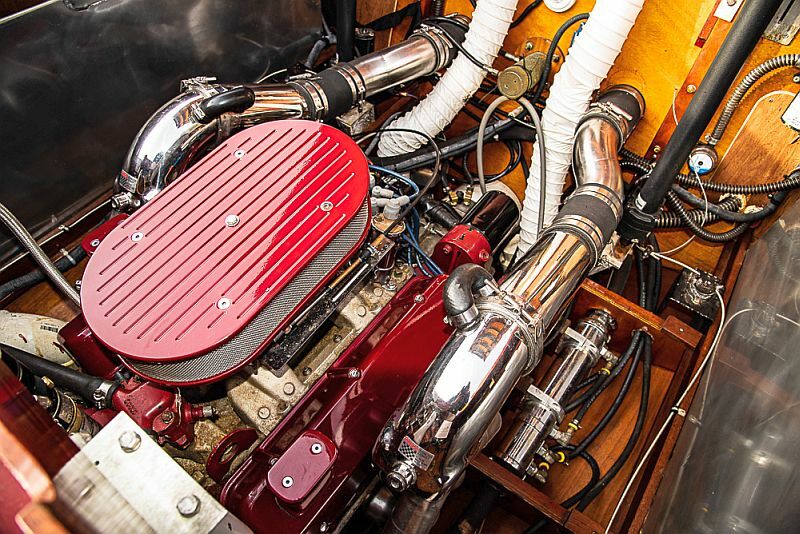 twin bilge pumps, stereo radio, head, tonneau and mooring covers. 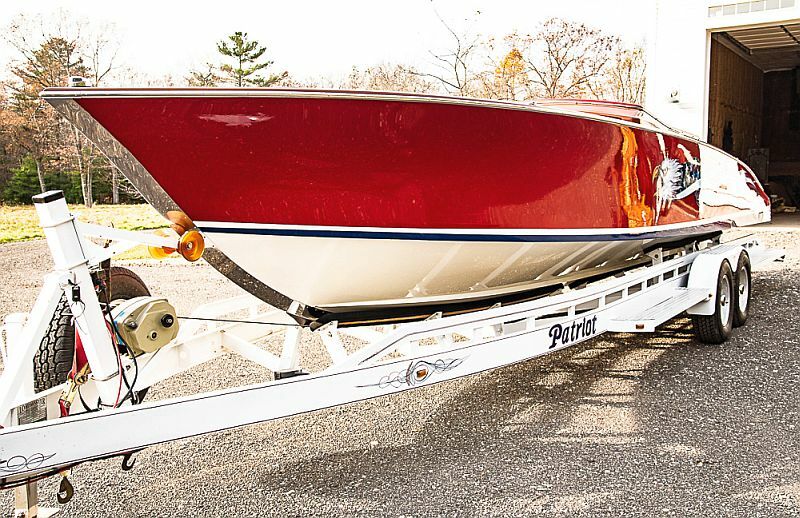 The engine hatch cover is lifted with a remote control unit. 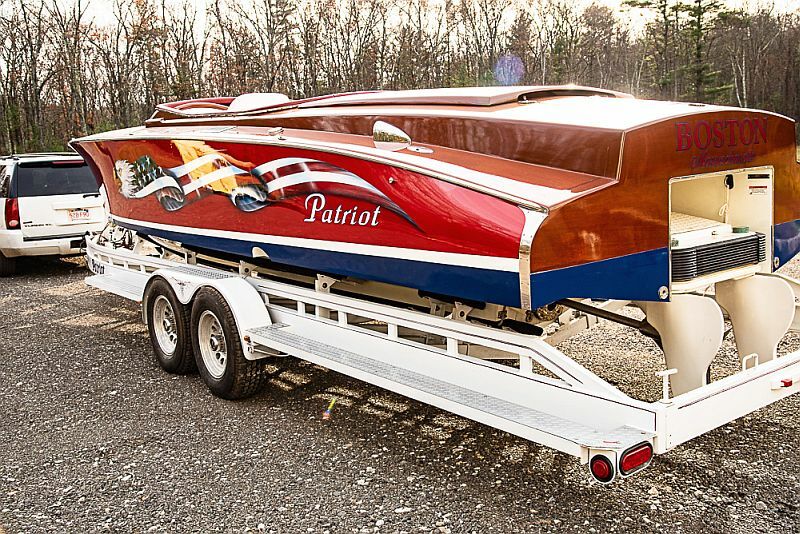 Patriot rides on a custom built Load Rite twin torsion axle trailer with 16 inch polished aluminum wheels with Michelin tires, a spare and an electric winch. 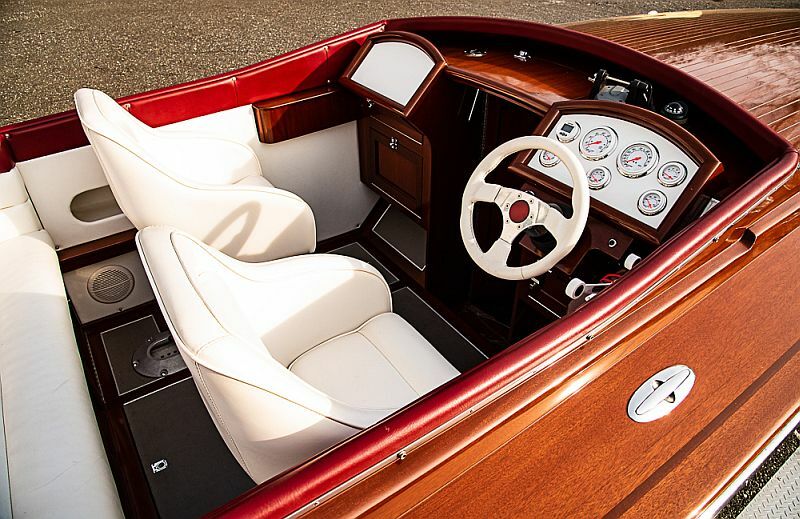 This offshore Sports runabout is another of Fred Heim’s museum quality masterpieces. 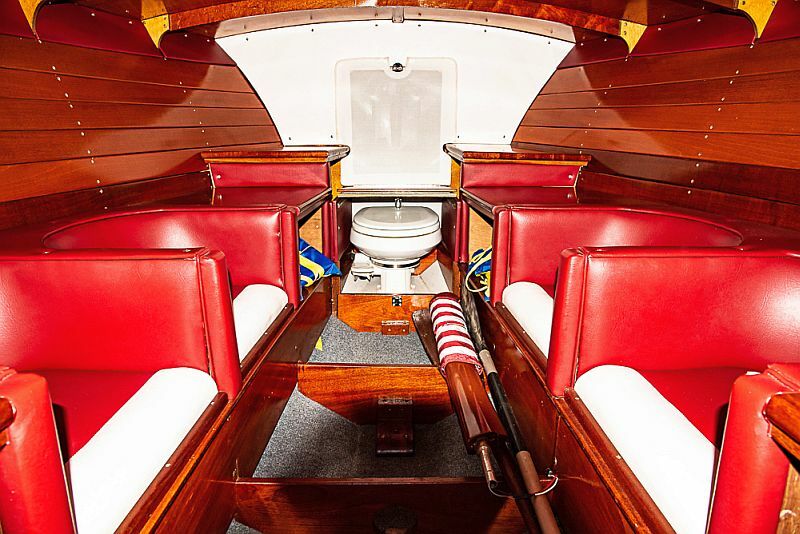 Fred has been building boats for 45 years, including some one-of-a-kind vessels. 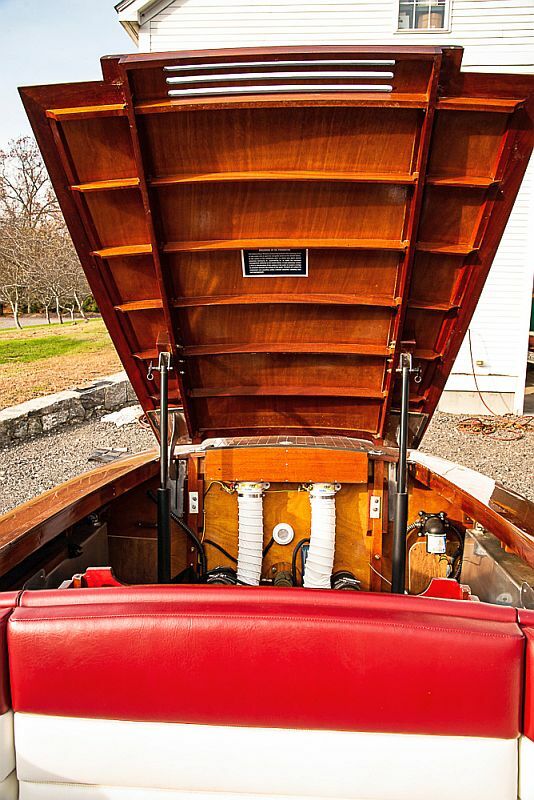 ← A Philip Rhodes sloop will soon “rise again”!